It is very important to protect your phone so you can use it for a longer time and to avoid damage. That's why at GoCustomized, you can design an HTC One Mini 2 custom case in just a few minutes. Not only will you avoid cracks and scratches on your phone but you will also receive a unique accessory. What is the advantage of an HTC One Mini 2 photo case? You can have your favorite picture on the back of the case to get an accessory that looks exactly like you want it to. To go even further, you can add a text, a logo, or apply a filter to your HTC One Mini 2 custom case design. You can see, making your own HTC One Mini 2 custom case is the perfect chance to reveal your creativity! Thanks to our design tool, customization is incredibly easy, so no more excuses! Your HTC One Mini 2 photo case will be printed with a state-of-the-art UV printer equipped with anti-scratch ink and we can guarantee you won't be disappointed with the result. We produce and ship every order within 24 hours. Don't wait any longer and start now! The time when your cell phone looked exactly like everyone else's is finally over! Create an HTC One Mini 2 custom case to differentiate yourself from others with a totally unique accessory. 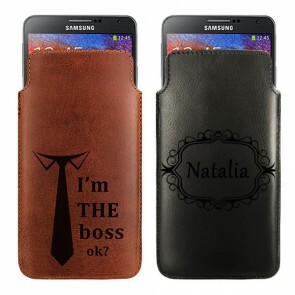 You can choose your favorite picture or design for your case. But an HTC One Mini 2 photo case is not only a nice accessory, it's also a very useful item that will protect your phone from nasty scratches. Therefore, you will be able to use your phone without fear of damaging it. Do you have no idea for a gift for a loved one? An HTC One Mini 2 photo case with a picture of you and the recipient is a perfect idea! We have some tips for the perfect outcome of your HTC One Mini 2 custom case: keep a margin of 3mm to the edges of the shell and for your design, choose a high-resolution image and most importantly, let your imagination run wild! Once you have finished customizing your HTC One Mini 2 photo case, our production team will print your order as soon as possible. The style of your phone is now entirely in your hands, your HTC One Mini 2 photo case will be ready in a few minutes. Start now!